Why horseback riding in Ecuador? Ecuador is known for its beautiful colonial architecture, which you can find in for instance Quito, but the country may be even better known for its breath-taking landscapes and highlands. 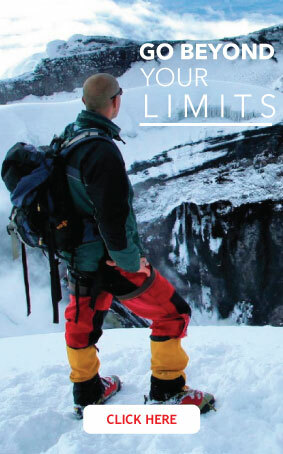 Exploring these landscapes can be done by trekking, climbing or mountain biking. Besides those options, another popular way of discovering the beauty of Ecuador is by horseback riding, which is considered as one of the most interesting and unique ways of experiencing the country. Horseback riding has been part of Ecuadorian culture for ages. Chagras– the Ecuadorian equivalent of a cowboy – are the ones that are famous for riding horses through the Ecuadorian landscapes. The horse is not just used as a way of transport by them, but it is also used as a guide. The unity and connection between a Chagra and its horse is considered somewhat mysterious and romantic by many people. Whether you want to ride through wide-open fields where you can spot animals such as wild rabbits, condors and alpacas, or want to coordinate yourself through small trails in dense forests, Ecuador has it all to offer. 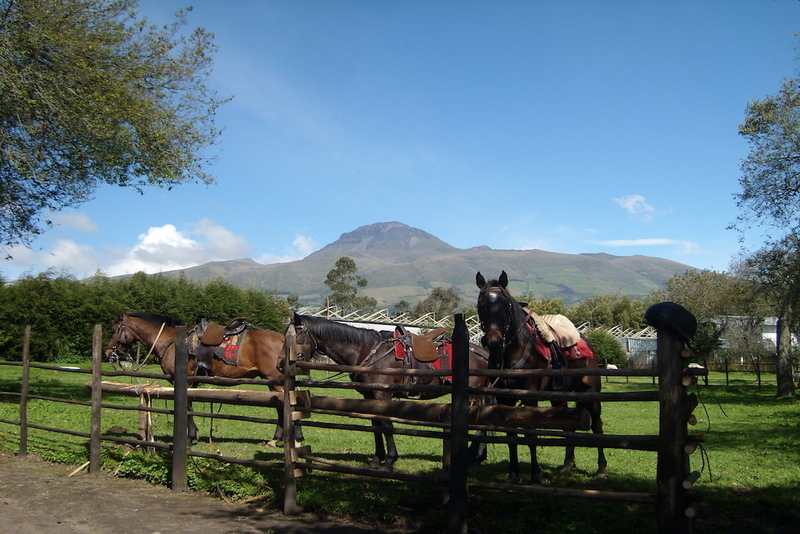 Ride past volcanoes such as the Cotopaxi, Rumiñahui and Corazon volcano, which are among the highlights that you won’t want to skip when going on a horseback riding tour. Besides that, riding through the gorgeous El Boliche, the recreation area of Cotopaxi National Park, is a must-do. Tours like this will make you feel like a real chagra and will most definitely be an unforgettable experience. On the other hand, it is also possible to do it yourself through the beautiful mystical Bombolí Cloud Forest, which is a completely different though still a very beautiful journey. 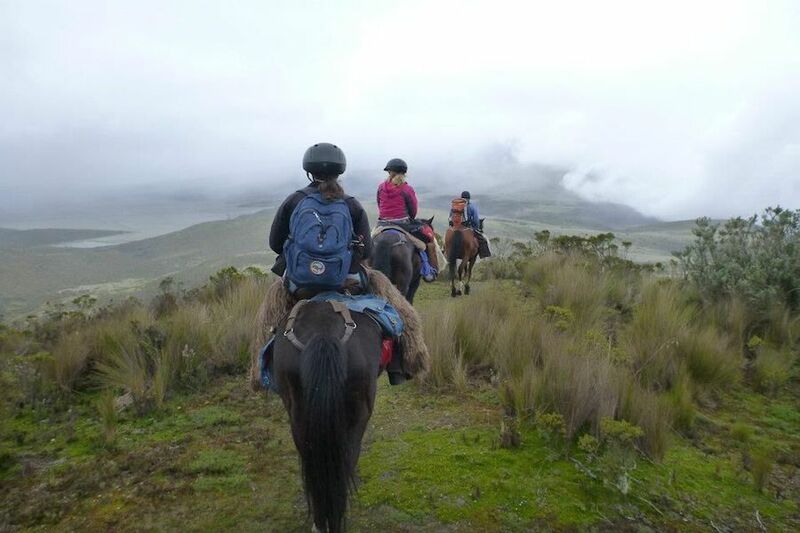 The diverse and stunning landscape Ecuador has to offer makes it the country of choice for horseback riding tours. Unlike some people think about horseback riding in Ecuador, it is not needed to be an experienced rider if you would like to see the country by horse. Maybe you are very excited about the idea, but still feel uncomfortable since you have never ridden one. This should not be a problem; If you are interested in getting to know what kind of animal a horse is and if you would like to know how to walk, brush and even play with it, our Ecuador’s Horse’s Lifestyle could be perfect for you. Our experienced horse guides will make you feel comfortable with the animal and create a strong foundation for any future Ecuador horseback riding tours you might want to participate in! Did you become interested in horseback riding and would you like to know more about the horseback riding tours Gulliver has to offer? Go and check out what tour suits your needs and wishes best and hopefully we’ll see you soon!